How we all? 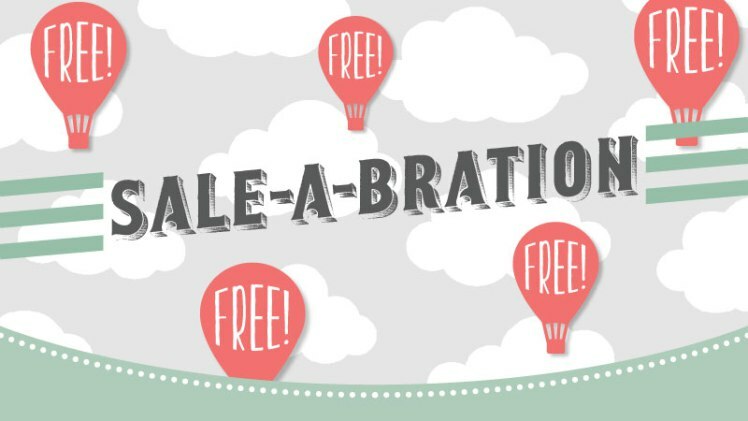 Enjoying sale-a-bration? Well I am here to remind you that there is only 16 days left!!!! That means everything will soon be over. 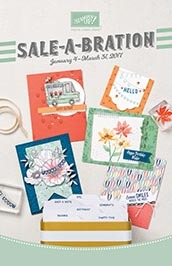 All the lovely items in the sale-a-bration catalogues will no longer be available. If you would like to make an order now is the time while stocks last! There will be a mad rush now so go go go! 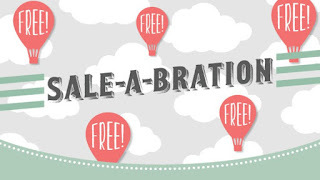 I have absolutely loved the sale-a-bration goodies this time round! Well I do every year! But my favourite will have to be the tin. Some of you may know I have an obsession with any tins or tin kits SU brings out and I always have to have them all. You can see that there is also a great joining offer going on right now! When you buy your starter kit for £99 you get to pick £130 wirth or products, 1 free business kit and 2 free stamp sets of your choice. What more could you ask for? Anything you want in the catalogue up to the value of £130 and then another 2 free stamp sets all for £99! Hello!!! Now is the time to take advantage of this great offer and join up now! Or shop now! Why not! Remember as a demo you see things before customers and you get a discount on all the products. Let me know if you have any questions or need anything.